The first venue for Atlas Shrugged in Canada has just been confirmed: Atlas will be showing at the AMC at Yonge and Dundas in Toronto for October 28th. Showtimes have not yet been announced but, of course we'll make sure to post links for advanced ticket purchasing as soon as they become available. If you're in Canada and you're hoping Atlas visits your city, be sure to head on over to the Official Atlas Shrugged Movie web site and "Demand Atlas!" 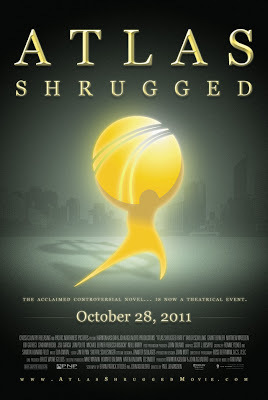 And don't forget, there are only 25 days left before the Atlas Shrugged Special Edition DVDs start hitting US shelves. To ensure delivery on release day, pre-orders must be in by Tuesday, November 1st. Pre-order the Special Edition DVD now.